Oh Renny Harlin. How I want you to succeed so bad. Since the 90's, I've been waiting and waiting for Harlin to find his comeback film. Because believe it or not, there was as time when he was a big time A List Hollywood director with films like Die Hard 2, Cliffhanger and The Long Kiss Goodnight among others under his belt. And this was after he had dipped his hand in the horror genre with Prison and A Nightmare on Elm Street 4: The Dream Master. But his winning streak quickly deteriorated in the mid 90's and the guy has been struggling ever since. The last Renny Harlin flick I liked was Deep Blue Sea back in '99. But I know he's still got some juice left. Known for 2 distinct signature styles, he's adopted several others in the last 15 years with very little results. I've always hoped that he would go back to making films the way he used to in his heyday. I strongly feel 12 Rounds would have been a decent attempt as a badass no-holds-barred action flick, had he not ruined it filming the entire thing in hand-held and giving me a headache. I couldn't even finish it. It was a ridiculous mess. 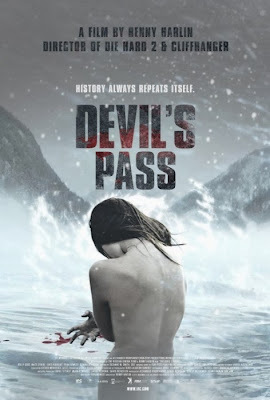 Devils Pass had popped up on my radar recently through several horror sites that I follow and it was the fact that it was a horror film directed by Harlin that peaked my interest more than anything; he hasn't done one in almost 10 years. And this one sounded interesting, partly based on true events. I'd actually never heard of this incident before this film. After watching it, I felt compelled to do a little digging and was surprised that as much as I love unsolved mysteries and the unexplained, I'd never come across this story before. Unfortunately though, once I realized it was going to be "another" Found Footage film, my interest severely waned. 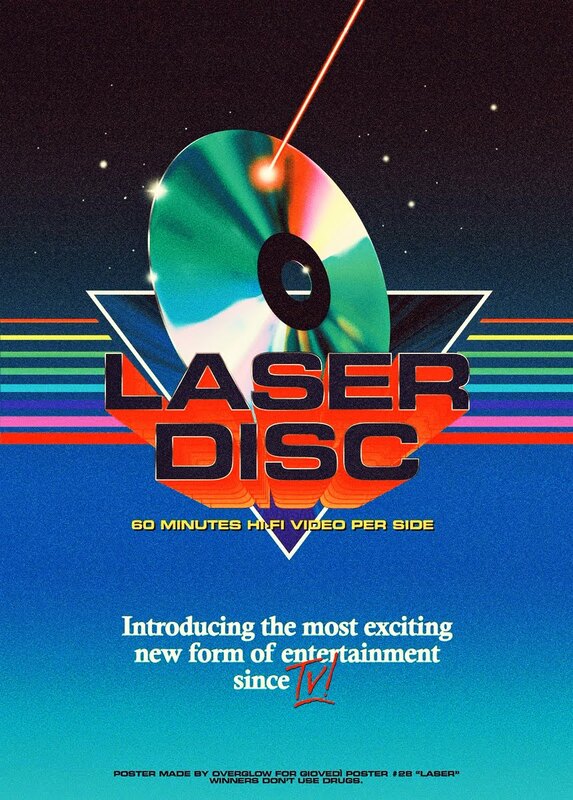 But Netflix just added it to their streaming service so I thought "Why not?". I'll be honest, as much as I despise "found footage" films, this one wasn't anywhere near as bad as 90% of them. Harlin actually does a good job of making this look good, and never goes the "shaky-cam" route. Thanks! Even as a "found footage" film, there are some impressive shots. The kind that remind me of the talent he has. A trait that I hope will continue on through his next projects. He's already got a big budget theatrical release in the can with Hercules 3D, which looks slick as hell. So I'm starting to finally get excited about this guy again. Devils Pass centers around the true story of the "Dyatlov Pass Incident in 1959 where 9 experienced Russian skiers died under mysterious circumstances on a mountain during a hiking expedition. To this day, there has been many theories as to their cause of death, but no one definitive explanation that satisfies everyone. In this film, a group of American students go to investigate the place where it happened and see if they can finally uncover the mystery 54 years later. As a horror film though, it's not really scary. It certainly plays out like one, but doesn't really offer up any genuine scares. There's some tension, and it's a nice build up to "something", but when it finally comes to "pay-off time", it sort of turns into a ridiculous scenario; one you would expect to see in a lot of DTV horror flicks. Which was a shame because the true story of the Dyatlov Pass Incident is fascinating in and of itself. But the fact that the story takes this massive detour into the absurd in the final act throws you off with some shoddy CGI work thrown in the mix to only drive that point home. That poster doesn't accurately represent the film either. I don't even know what that's supposed to mean. That girl certainly isn't in the film. And a naked girl in the snow doesn't refer to anything that actually happens here. Not a bad film, but not a great one either. It's a strong start though to a comeback I hope. If his next film, Hercules 3D is any indication, then it looks like the old Renny Harlin is on his way back. Nice write-up. Happy to hear about no shaky cam. Haha. Might check it out now.